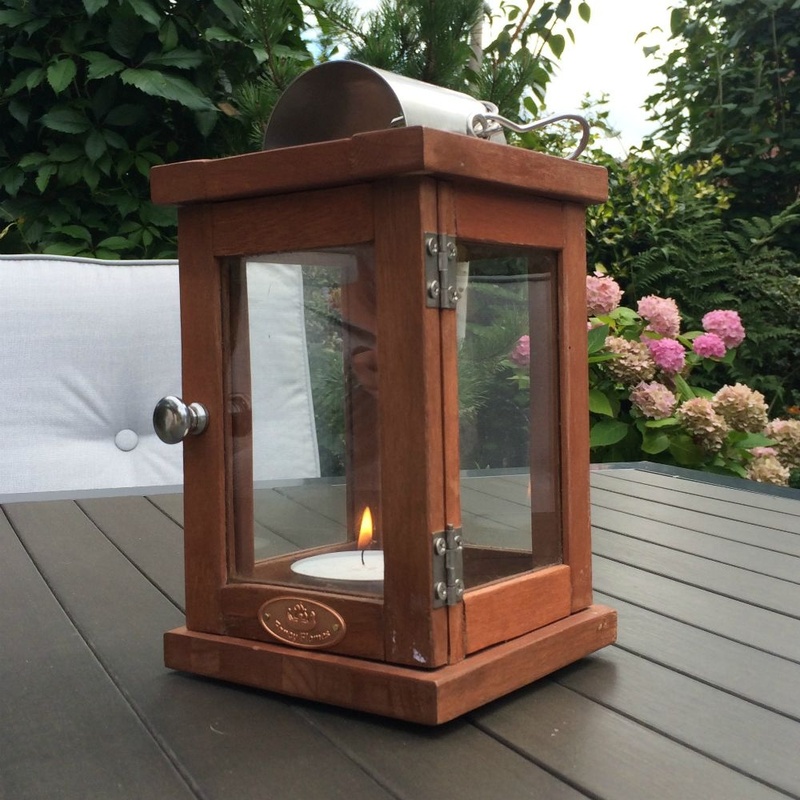 A very attractive hardwood lantern which has a hinged door to the front with silver coloured knob to make opening easier and four glass panels. There is a metal hook to the top of the lantern so you are able to hang it as well as just leave it sitting on a table for example. 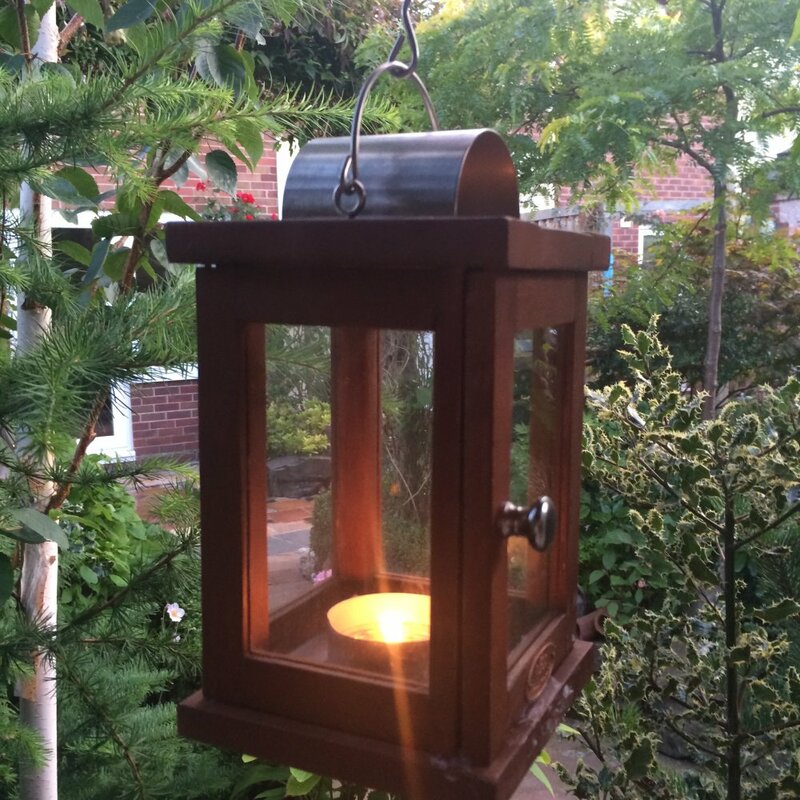 You just need to pop a tea light inside and light and enjoy the lantern in your garden.